After recording my interview in Part 1 of this series, my friend Jeffery W. Ingram released the 81st episode of his popular podcast, Worldbuilder's Anvil. The episode, titled All These Freaking Maps!, discusses the various uses for maps and explores the essential need for maps as a worldbuilder. With his co-host Michael, Jeffery enumerates the different types of maps a worldbuilder might need, from work-in-progress maps for personal reference to publish-ready maps to orient readers. They also talk about how different cultural perceptions influence how lands are mapped, and how every map tells a story of that area's time and place. Maps do more than depict landforms. Maps change over time, as borders are redrawn, lands are discovered, and cultural biases shift. Maps bring worlds to life and embody the people who live there. I agree with Jeffery on a lot of his points about maps. Though I took no part in the scripting or recording of this episode, Jeffery mentioned me several times. While there is some free software out there for quickly building a reference map, he endorsed my mapping services for professional, publish-ready maps. I'm thrilled by Jeffery's stamp of approval, and I'm honored to be the go-to cartographer for so many awesome worldbuilders. 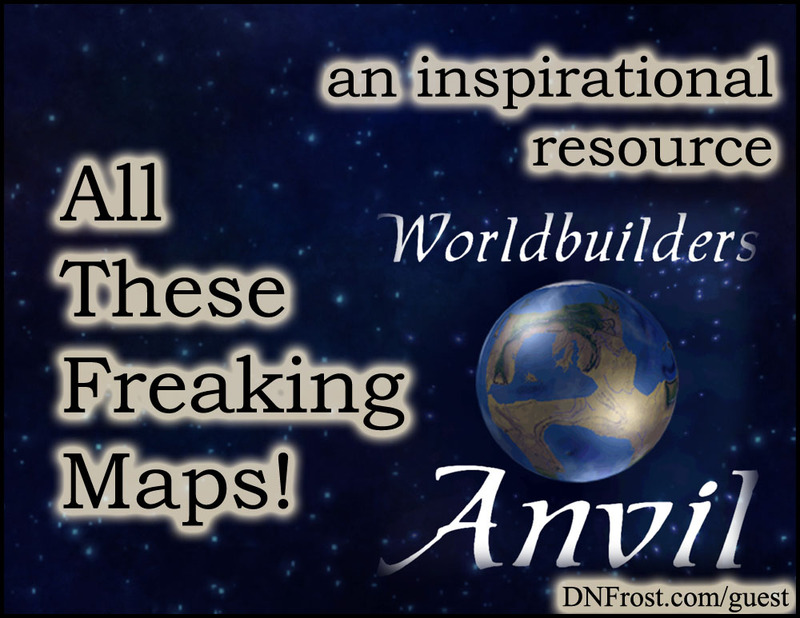 Worldbuilder's Anvil: All These Freaking Maps! here.